The annual Fisher’s Ghost Art Award is a highlight of Campbelltown’s annual Festival of Fisher’s Ghost. This year marks the 52nd year of the award, with prize money in excess of $40,000. The major prize is the open award and the winning artist is awarded $20,000, with the work becoming part of the Centre’s permanent collection. Open to all artists and awarded to one work. 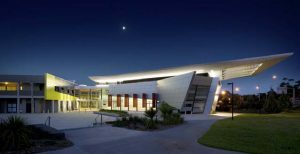 The winning work is acquisitive to Campbelltown Arts Centre (C-A-C). Artworks can be any style or medium created in a contemporary style. Open to any artist living in Campbelltown, Camden and Wollondilly working in any style or medium. Artworks must be in the medium of drawing or printmaking. Artworks must be created in a traditional style of landscape, portrait or still-life. The James Gleeson Surrealism Award has been establishged to promote surrealist practices within contemporary art in Australia. The award is open to artists who have a practice in painting, drawing and collage with a strong influence and foucs on surrealism. Surrealism is defined as an artistic style that explores the subconscious mind free of intentional logical meaning. The award will be selected under this definition and is open to any artist living in Australia and working with the above mentioned mediums. Open to artists with a disability. Artworks can be in any style or medium. Artworks must be in the medium of photography. Artworks must be in the medium of sculpture. Open to any Aboriginal artist born or living in New South Wales working in any style or medium. Awarded to artists living in the Campbelltown LGA, under 30 years of age, using the City of Campbelltown as their theme, working in any style or medium.